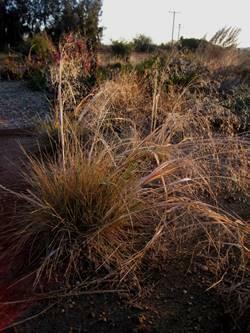 A perennial bunchgrass with flowering stems up to 1.5'. Flowers in Spring. 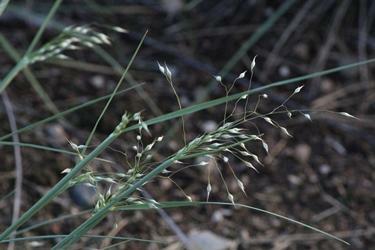 Will reseed - but not a pest. 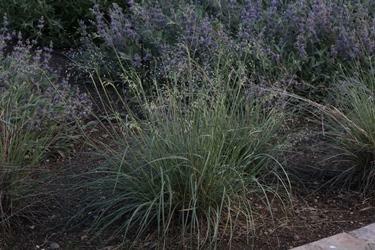 Nice delicate flower stalks that add texture. Very easy to grow. 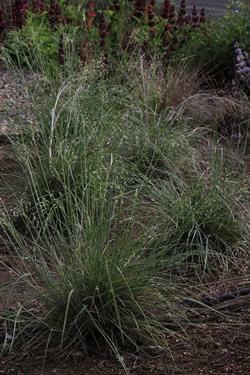 Does not do well potted - looks poorly in 1 gallon plots - but quickly establishes. Grow alone as an accent or planted in groups.to grow.